Today, we are back with yet another Stock Wallpapers from the ZTE Nubia M2. 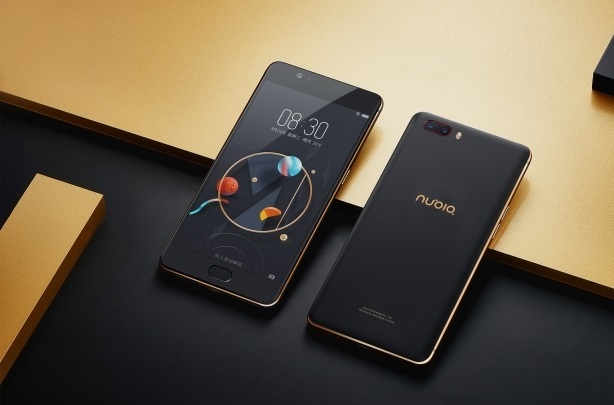 The Nubia M2 was unveiled by the Chinese smartphone manufacturer ZTE in March 2017, which was last month. The Nubia M2 is the successor to the Nubia N1 that was launched in Q4 of 2016, it comes as a budget phone for the Chinese and Indian markets. The device is priced at Yuan 1999 for China and approximately Rs 18500-24000 for India. Meanwhile, there is no official word from ZTE for its launch in the US and European markets, however, the Nubia M2 will start shipping from 8th April 2017. We have got our hold on the Stock wallpapers, you can grab those from the downloads section given below. Before we head over to the download links, lets just quickly go through the device specifications for your better understanding. The Nubia M2 features a 5.50-inch touchscreen display with a resolution of 1080 x 1920 pixels. The heart is powered by Qualcomm Snapdragon 625 processor packed with a whooping 4GB of RAM. Although the latest Snapdragon 835 is available in the market, the SoC on Nubia M2 is not the up to the mark. But it should be okay as per the price range is concerned. The phone packs 64GB of internal storage with a choice of expansion up to 200GB via a microSD card. As far as the cameras are concerned, the ZTE Nubia M2 packs a 13MP rear camera and a 16MP front selfie shooter. The device runs Android 6.0.1 and is fueled by a 3630mAh non-removable battery. Well, now you know the specifications, lets just head over to the wallpaper links without any further ado. The stock wallpapers come directly from the ZTE Nubia M2. The wallpapers are 7 in total and is Full HD with 1080 x 1920 pixel resolution. The file weighs 4.42MB in size. Moreover, you can either download the package with a single click from our servers or manually download it by right-clicking and saving the image on your device. As the file is in .zip format, you need to download and extract on your PC or Smartphone. Once extracted, you are good to enjoy the stunning wallpapers on your device.